VERA 20m antenna at Iriki station. On right the dome of 1m optical/IR telescope of Kagoshima University is seen. The VERA Iriki station is located at the Iriki farm of the Kagoshima University. 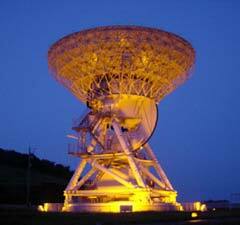 The astronomers at School of Science, Kagoshima University have been playing a major role in construction and system setup, and will be doing so in scientific studies as well. 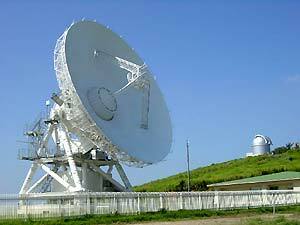 At the Iriki farm, there is also the 1m optical/IR telescope of Kagoshima university.